Snapchat is the most known app to transfer the videos, and all are using this Snapchat to do the video marketing. It is one of the social media marketing platforms to explore the business by making online videos. 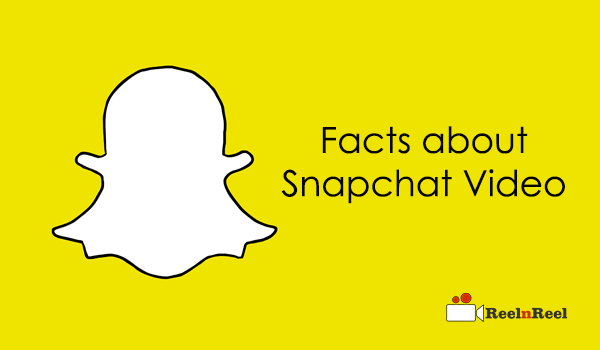 The below given are Facts About Snapchat Video. Snapchat was launched in September in the year 2011. It has more than 100 million subscribers daily. More than 19 percent US population were using the Snapchat app. Around 69 percent users are women on Snapchat platform. More than 30 percent Millennials in the US are accessing the Snapchat regularly. 8598 photos at an average were shared on the Snapchat per second. More than 12 percent users are even checking the Snapchat while driving. Around 6 percent selfies are shared on Snapchat. Ireland is at top place in Snapchat usage. 50 percent males students are sharing selfies on the Snapchat platform. More than 70 percent college level students are chatting regularly on Snapchat app. 69 percent Snapchat users are below 34 years age. 48 percent users are between the age group of 18-24 years. More than 30% US teens are using the Snapchat app. 25 percent people in the UK are using the Snapchat app. According to 2015 February reports, it found that only one percent marketers are using the Snapchat. More than 60 percent growth was recorded during 2014 December. Stories”, is the most popular feature on Snapchat. Nearly one billion stories are viewed daily per day. 10% of charities and nonprofit organizations in US are using the Snapchat. By using this app we can easily elaborate our products and tools in the form of making videos as everyone are using this app. Most useful online marketing strategies should be followed before starting.